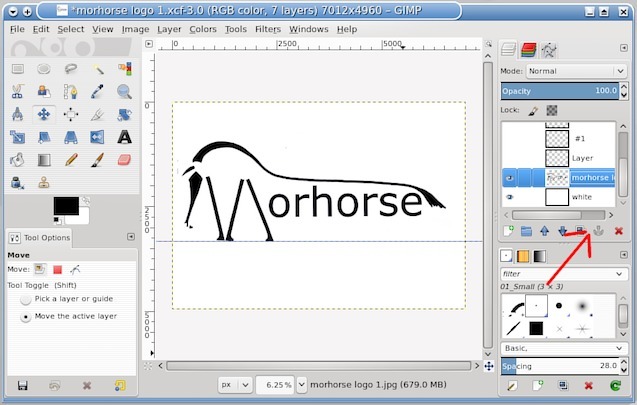 Then on the morehorse logo layer. 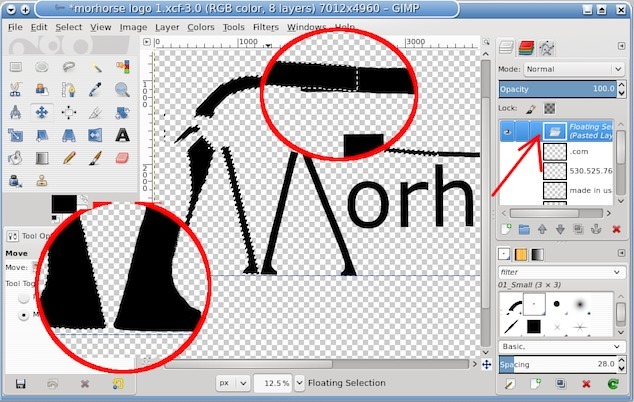 Remove the white background Colors -> Color to Alpha The default is white. Now you can make a selection. Use the free select tool. 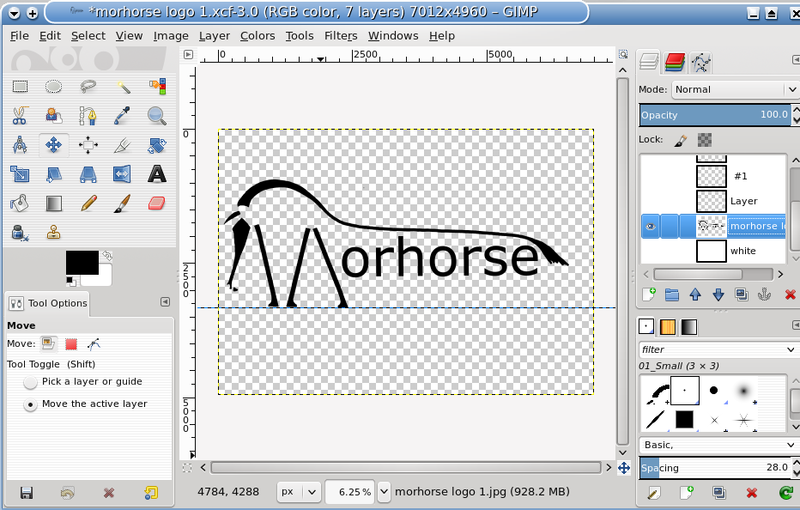 Move that floating layer, using the move tool, Keyboard arrows will nudge along, it is a large image so it looks slow. Anchor that floating layer down, do any small repair (erase) on the tail, put a white layer under. (Sep 30, 2014 08:15)ofnuts Wrote: Your just need to "lift" the branches, cover them with white on the source image, and then before put them back in a new position... 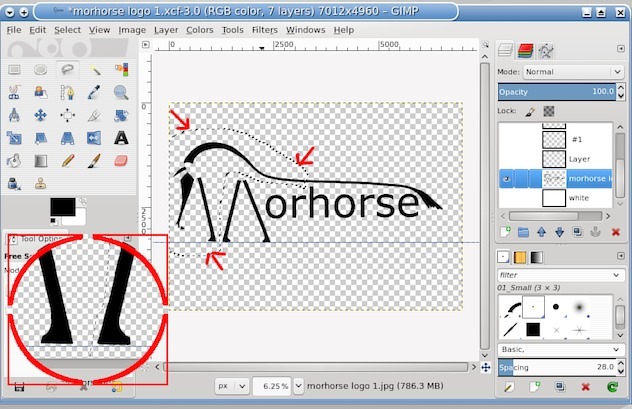 So, just a matter of doing a rough selection around them, copy/paste, "Layer>To New layer", paint over the original ones with white, and move the layer with the copied ones, then merge down.